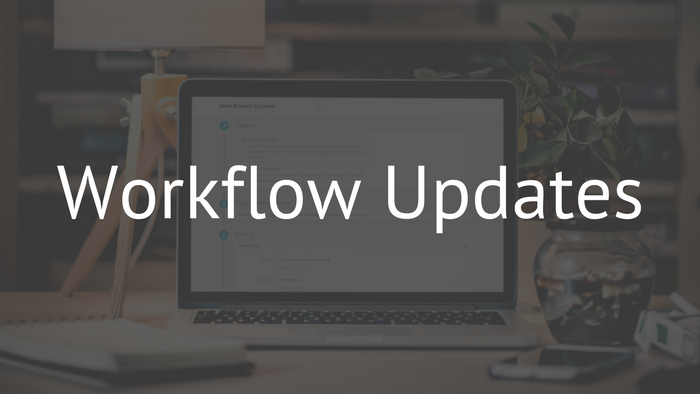 Following our Workflows release, today we're happy to announce two exciting updates that will take Workflow creation to the next level. The Date Reached trigger will be added to the two existing triggers: Record Created and Record Updated. As the name implies, the Date Reached trigger is invoked whenever a particular date is reached. 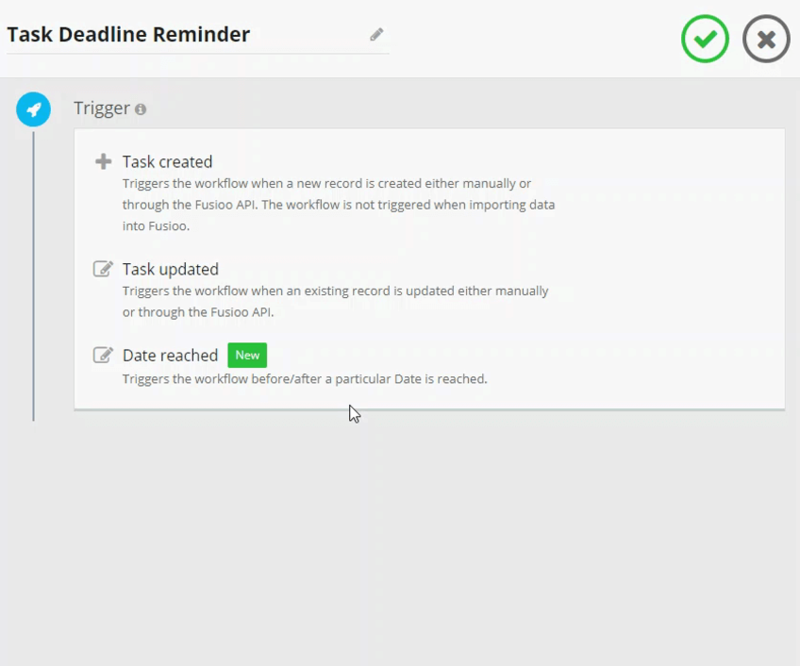 The Date Reached trigger is particularly useful when setting up date reminders and recurring records. 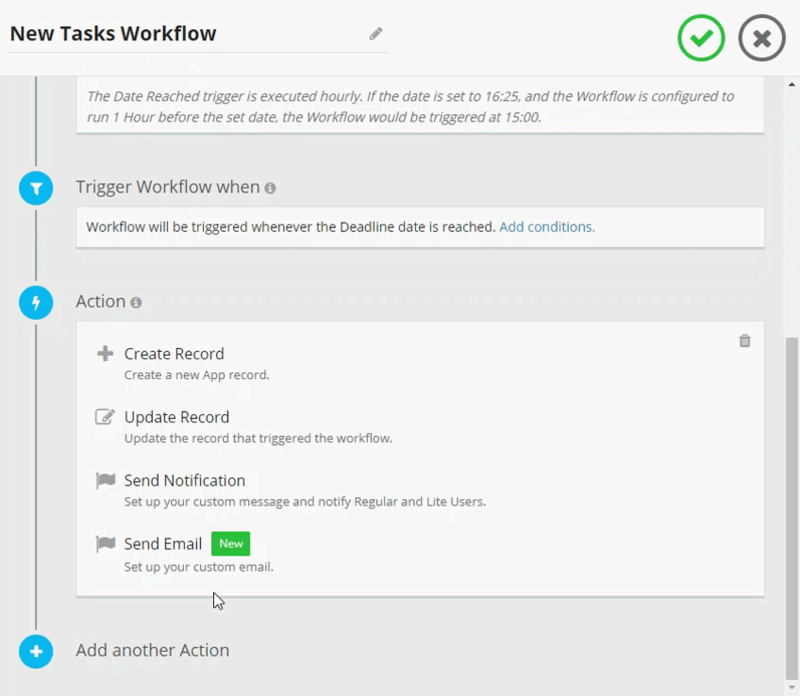 The Send Email action will be added to the three existing actions: Create Record, Update Record and Send Notification. You will now be able to notify collaborators and external users when a particular event is triggered. Make sure to check out the Fusioo Documentation for examples on common Workflow use cases.